I can speak from experience that Canada is not the cheapest place to visit. It’s considered expensive. I’m using the word “considered” intentionally because I think Canada is only as expensive as you make it. It is absolutely possible to visit on a budget. This guide has a lot of tips on the cheapest way to travel across Canada. Canada is the 2nd largest country in the world and there is a lot to see. If you’d like to see history and culture, I suggest you visit the East Coast. And if you’re interested in the mountains, West Coast and the Canadian Rockies are a great place to explore. 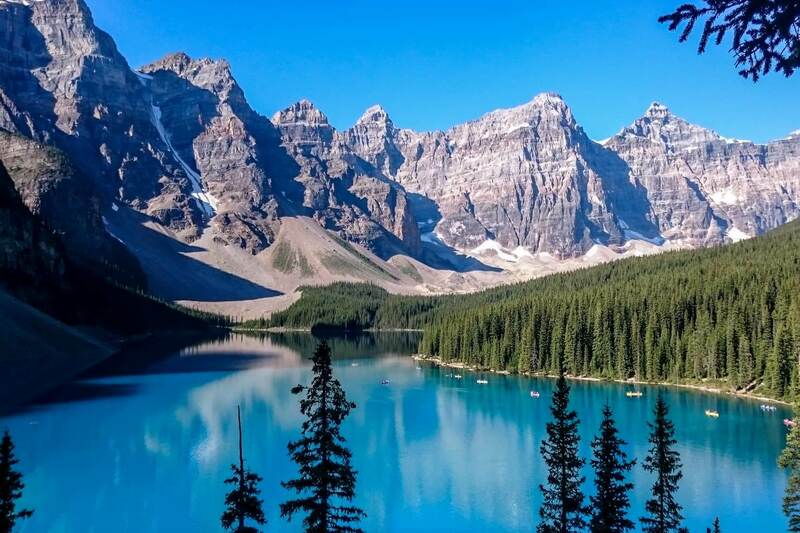 For first time visitors, I recommend the place that Canada is most famous for – the Canadian Rockies. 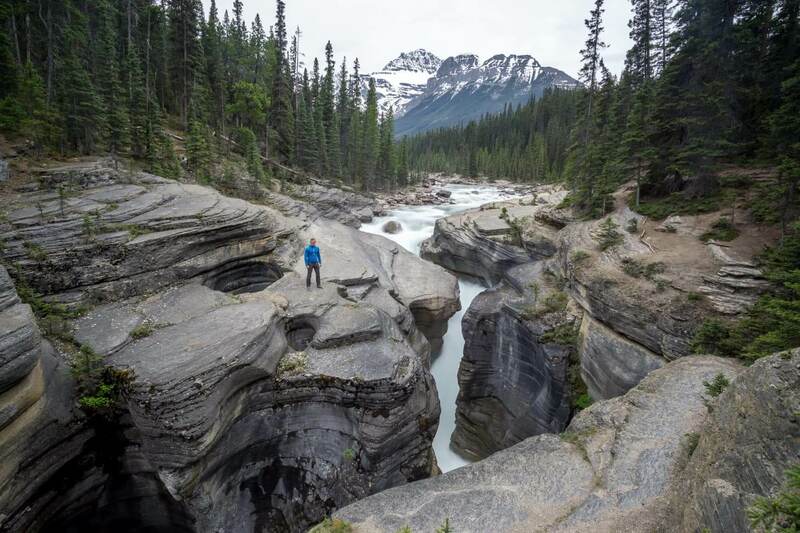 They have been our playground (as Canadians like to call it) for several years now and even after our trip around the world, we came back because we can’t get enough of the stunning nature. 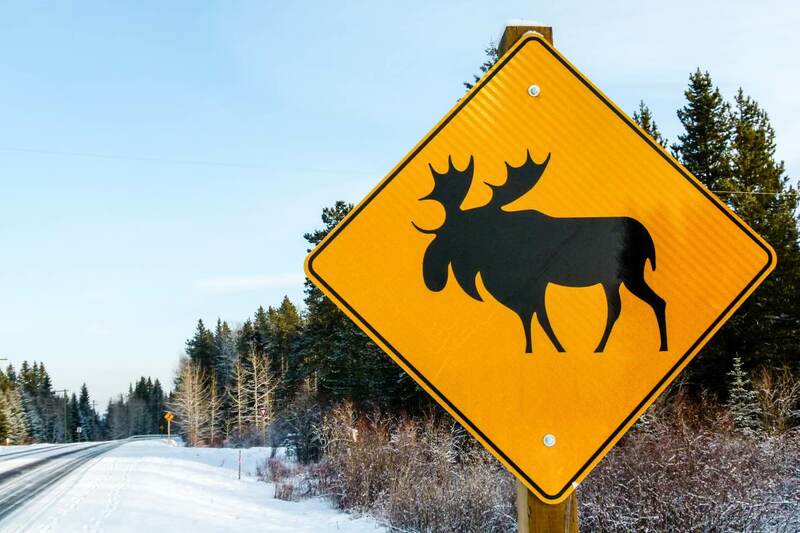 Word of caution: after reading this, you will want to visit Canada sooner rather than later. 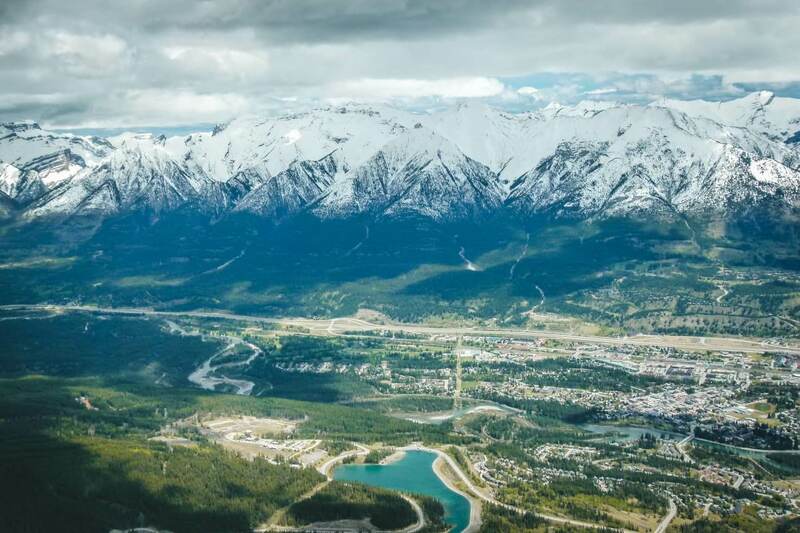 If not, our photo essay of Canadian Rockies from above should convince you. What do we know about budget travel in Canada? So, what is the cheapest way to travel across Canada? Having too much money isn’t probably your problem, otherwise, you wouldn’t be reading this and just booked yourself a fancy trip across Canada with Rocky Mountaineer. You would see the Canadian Rockies from the train window. But our blog is about budget-friendly options and adventurous trips so if that sounds good to you, keep reading. Michal and I are both big believers in active trips. We think you should hike up the mountain not only for the best view but to earn that view. You probably stumbled upon our blog because you like the same. 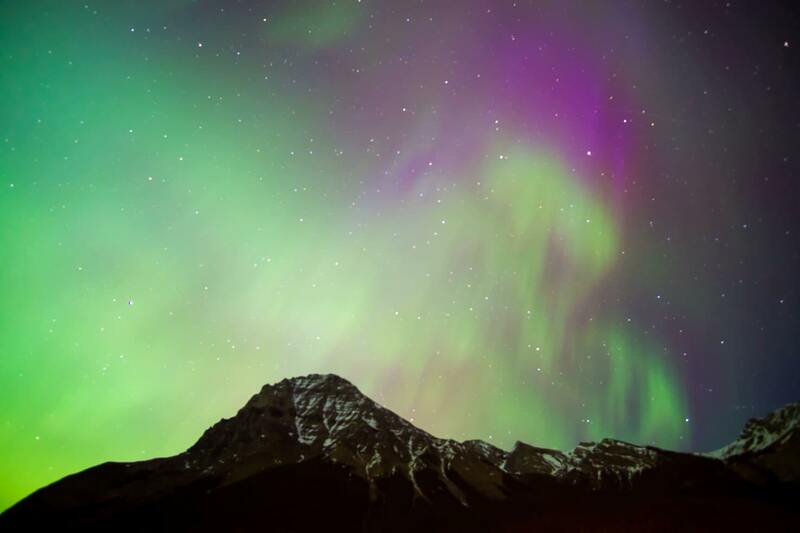 This blog post is focused on the most popular and most expensive part, the Canadian Rockies. After more than 5 years of living near the Canadian Rockies, we’ll provide you the best budget tips we know (many tips are applicable in any part of Canada). I haven’t found a budget guide for Canada because I think people either spend a little time in the country and leave complaining about how expensive it is or save for the trip and don’t really look at budget options. Our guide is going to help you visit Canada on a budget – keeping you and your wallet happy. The short answer would be camp along the way or stay at locals through Couchsurfing, hitchhike and take advantage of all the adventure activities which are free. But this answer would not be for everyone. There are many more options. 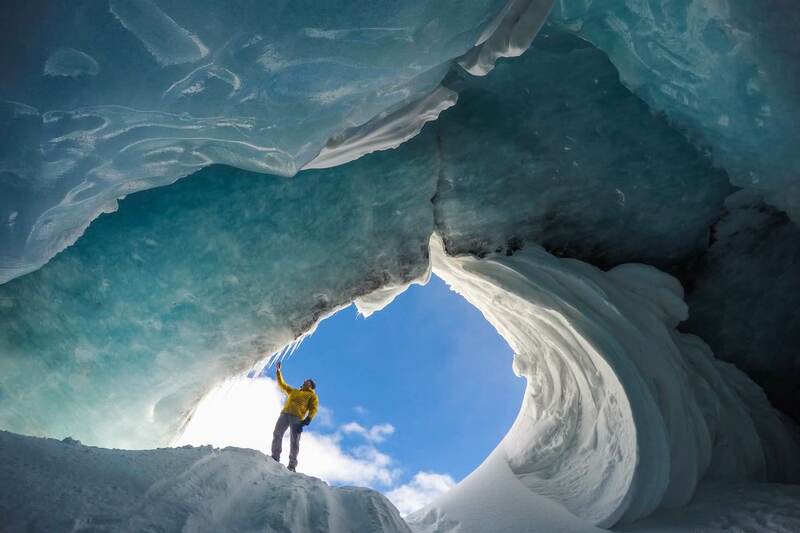 The biggest factor contributing to your budget trip in Canada is flexibility. If you’d like to visit during Christmas or summer months, just getting the flights will be expensive and accommodations are at its highest. Luckily there’s a shoulder season which we’re big fans of (it’s how we planned our trip in South America to keep our budget as low as possible). Just an example of how you can visit Canada on a budget: gondola in Banff National Park is one of the busiest and most expensive attractions I know of (CAD 64 for the an8-minute ride). Did you know there is a trail up the mountain which takes about two hours and of course it’s totally free? 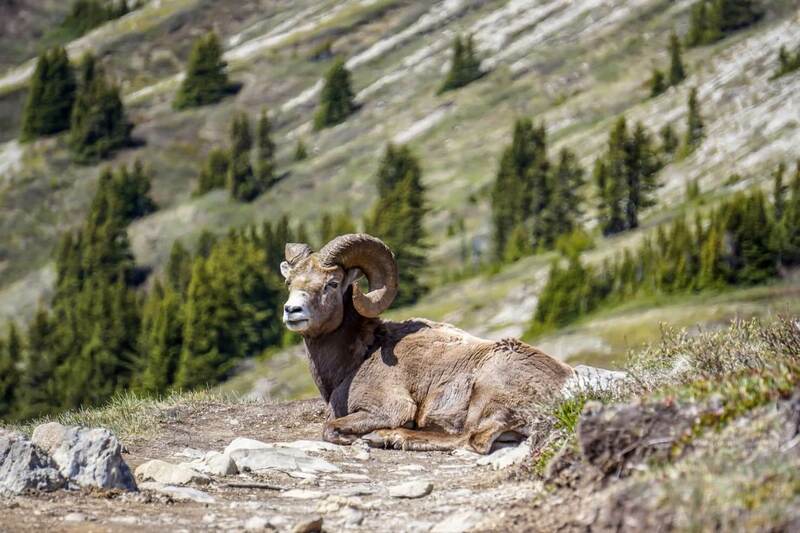 Read our post: Sulphur Mountain hike vs. Banff Gondola for all info. Unfortunately, the cheapest option was Greyhound bus company but they canceled their services in Western Canada in October 2018. You can use Greyhound if you’re traveling on the East Coast though. The cheapest way would be to rent a car or campervan. In case of a campervan, you would save a ton on accommodations as well. Read the section ‘Travelling around Canada’ below. The easiest way to get to the Rockies is to fly into Calgary, it’s only 100 km drive from the mountains. 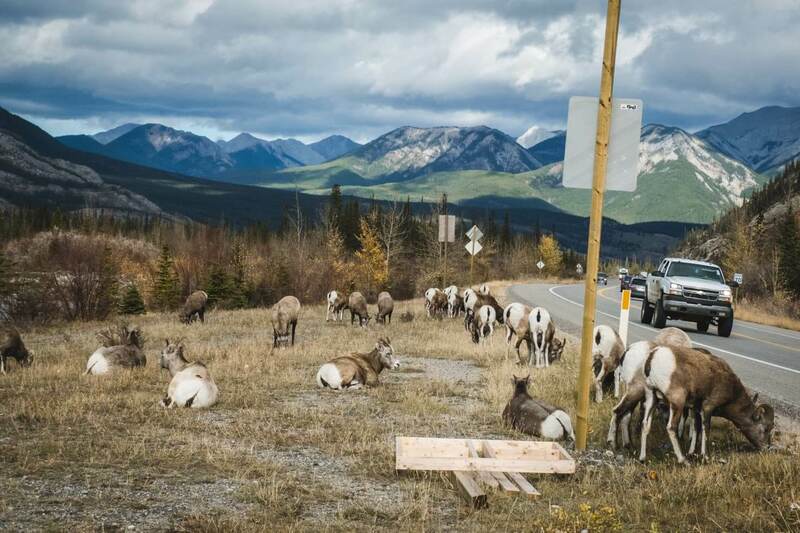 Popular national parks Banff and Jasper are close and even their neighbours are worth a visit – Yoho and Kootenay. 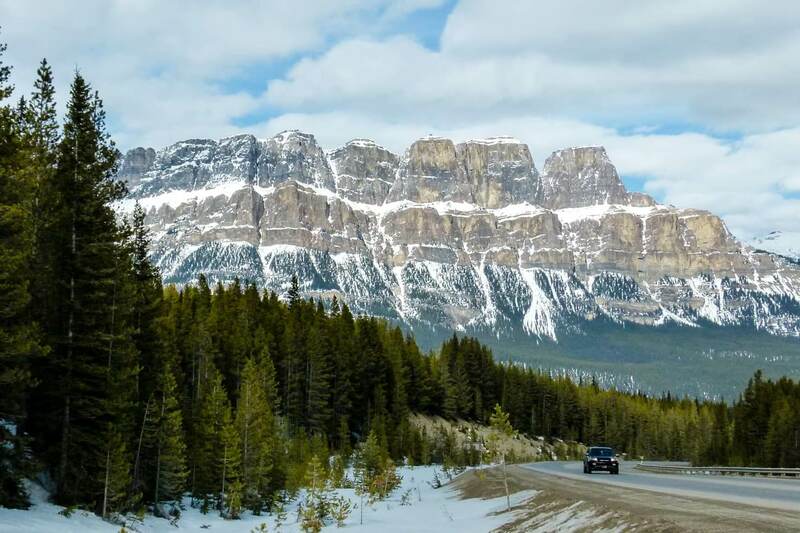 For getting from Calgary to Banff or Jasper, there are budget options to choose from. But unless you will be driving yourself, you will be limited as to where the shuttle bus within Banff National Park can take you. That is CAD 224-284 per day for a couple, which is CAD 112-142/day per person. Unless you’re collecting miles and flying into Canada from the US, the flight is going to be the biggest expense. If you avoid major holidays throughout the year, you can find a flight for half the price. Check this new website greatescape.co which can compare and show you the cheapest flights from your nearest airport to Canadians cities (or anywhere in the world). We’ve also found some great deals using Kiwi website. Best time to go to Canada largely depends on what you’d like to see and do. Since you’re reading our blog, we’ll assume that the right answer is to have some amazing outdoor adventures! Summer is the busiest time, but if you fly in June or fly out in September, the price for the flight ticket goes down. I would recommend visiting during the shoulder season – May, June or September. There are fewer tourists in the parks which mean less hassle with booking accommodation/campsites. May is the best month to see the newborns of Canadian wildlife. Bear cubs with their family are often seen from the road. June is when the famous lakes thaw, including Lake Louise, Moraine Lake, and Peyto Lake. Many visitors are disappointed that they didn’t see the blue lakes in spring (April and May). The lakes are located around 1,700m above sea level so they do thaw quite late. September is still a warm month, making nature more colourful as the leaves change their colour. On the other hand, ski season in the Rockies is amazing, the best skiing is in February. There are plenty of other options – cross country skiing, dog sledding, ice skating on the frozen lakes. 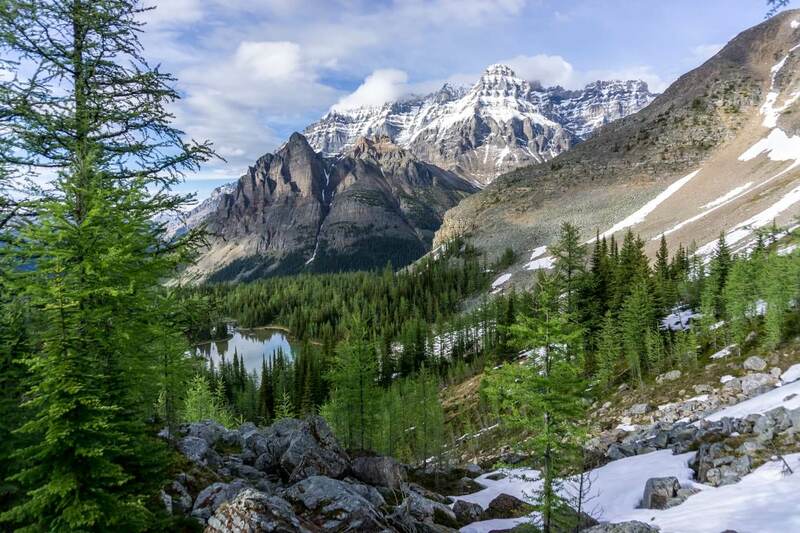 To know exactly what to expect in every season and best times for certain activities (such as hiking to the mountain peaks or watching Northern Lights), read our post Best time to visit Banff National Park. Canada is so massive that finding the right way to travel around is not an easy task. Most visitors choose to explore just one part of the country for a few weeks while others travel coast to coast for a month or more. We’ve met a lot of people who are hitchhiking but that is only possible when you are not short on time. Trains in the western part of Canada are expensive and options are very limited (train travel is more developed on the east coast). Not an option in Western Canada unless you choose a private tour company. Buses are expensive and would limit you greatly. Lately, at least popular places such as Banff National Park have some regular shuttles run by Parks Canada. They only operate to Lake Minnewanka, Johnston Canyon, Lake Louise, and Moraine Lake. Road trip in the Canadian Rockies is the best and gives you much-needed freedom. Apart from big companies such as Hertz or Budget, consider a car sharing service Turo. You probably heard of Airbnb where people rent out their apartment to travelers. Turo is like Airbnb for cars. A car from Budget may cost CAD 60 a day without insurance (with a pickup and drop off in Calgary) while renting a car through Turo is much more cost effective. When you sign up through this link you will also save $25 on your first rental. In many provinces, one liter of gas costs around CAD 1,30. Plan your route carefully, distances in Canada are huge and you don’t want to spend most of the time driving. Every rental has different conditions; don’t forget to ask about the km limit. Even better option than renting a car is to rent a campervan. This is by far the best option for travelling around Canada. You can sleep in campgrounds in national parks and (almost) anywhere outside national parks. We started our own campervan rental company with the most affordable prices in Western Canada. We’re striving to provide you with everything you need for your Canadian road trip. See more details at Smile Campervans. Campervan or RV relocation is needed when a rental company needs to move the vehicle from one location to another. They usually post opportunities a few weeks in advance and can be as low as $1 per day. Sometimes they might offer reimbursement for gas as well. Although this is more common in the US, it’s possible to find deals in Canada. Usual routes are on the East Coast or Calgary to Vancouver, Calgary to Toronto. Search for individual RV companies if they use relocation services, for example, Cruise Canada does. People usually travel between cities by car because the gas is cheap. But traveling by plane is also possible, although the prices might shock you sometimes. Try budget airlines such as Flair Airlines. I bet most of the people reading this would like to visit Canada during the warmer months of June – September. That’s a camping season! Don’t forget to pack your tent (or rent when you arrive), campgrounds are everywhere. Every town has an info center and can provide you a map with camping options. Campsites in national and provincial parks get very busy in summer so make sure to book in advance. 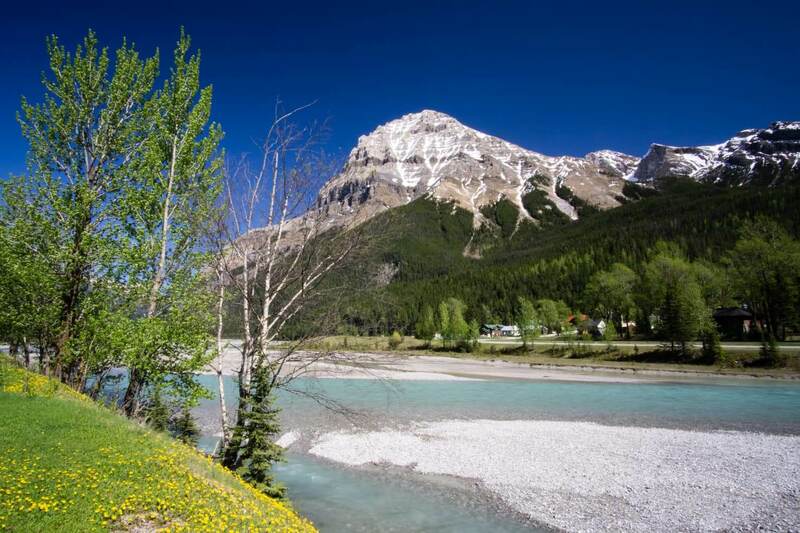 If you’d like to camp outside of popular towns such as Banff and Jasper, it’s not usually needed to book in advance, and some campgrounds operate on first come first serve basis. If you would like to camp like locals, ask info center for free recreation sites. For example, the town of Canmore (just outside of Banff National Park boundary) offers a free overnight parking area. You can find more info in our post. We like to have our campsite with us. We used to travel in our van with an air mattress and sleeping bags. Now we built Smile Campervans with bed, small kitchen and an electric cooler so it’s very comfortable. Many parking lots in front of Walmart and some pull over parking lots in national parks allow overnight stay. Another free option is to try Couchsurfing. It is not meant as a free accommodation option rather than a cultural exchange with a free couch. People all around the world host travelers, you can see how locals live, they will get to meet you and learn something from you and you get a free place to stay. It helps if you’re hosting people or participating in events so you have references. When you enter any national park, you need to pay an entrance fee at the gate. It’s valid for all Canadian national parks. The fee for the daily pass is CAD 9,80 per person. If you’re planning to stay in the national park for more than 7 days, you buy an Annual Discovery Pass for CAD 67,70per person or CAD 136,40 for a group. 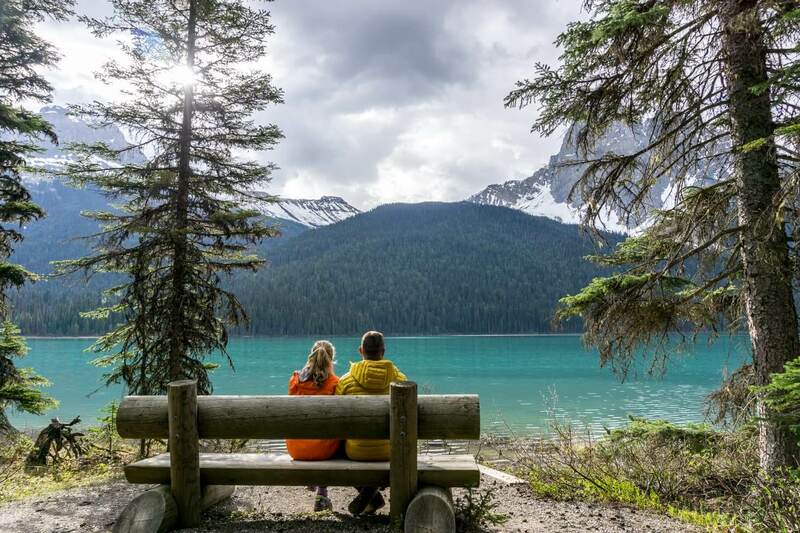 You’ll see your entrance fee well spent – national parks have rest stops with toilets, organized parking lots with bear-proof garbage bins everywhere, stairs, boardwalk or handrails on the trails where necessary and many wheelchair friendly places. If you ask me, the best things to do in the Canadian Rockies are free. Apart from buying an entrance fee to national park, the most beautiful hikes, trails to waterfalls, and access to lakes are for free. Given the distances in Canada, allow yourself as much time as possible. Parking around popular attractions is free but limited. During summer it’s sometimes better to use the shuttle bus because you might end up waiting for hours, just to park (a great example of this is Moraine Lake). If you like kayaking, paddle boarding or mountain biking, you can rent the gear outside of national parks for budget-friendly options or directly in Banff/Jasper. 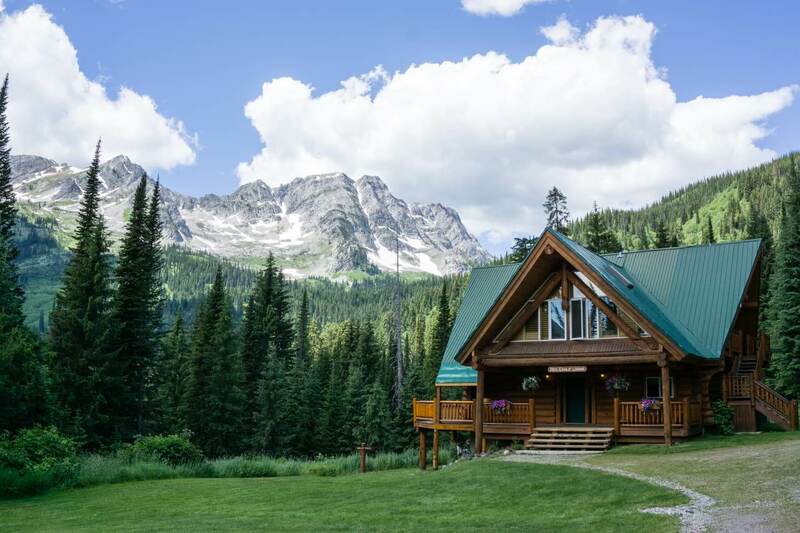 Coming from Calgary, the cheapest rental is from Outdoor Centre in the University of Calgary. They rent anything from camping gear and clothes to summer and winter equipment for all outdoor activities. Renting a canoe at Lake Louise costs CAD 105/hour but you are free to bring your own canoe, kayak or stand up paddle board to any lake without any permit or fee. I recommend Johnson Lake, Moraine Lake, Lake Louise, and Bow Lake. You can hit all 4 in one day and pay less for a day rental. 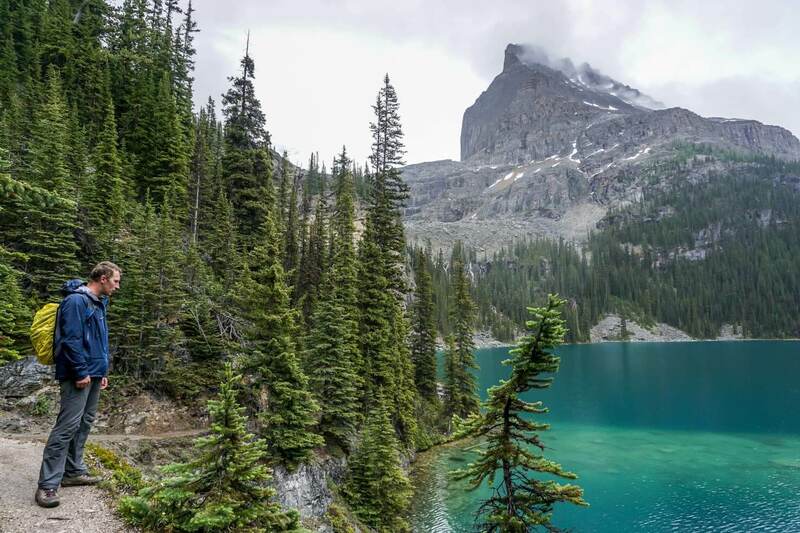 No matter how much time you spend in the Rockies, you will want to come back and explore more. I guarantee it! Eating out can get really expensive. Do you really need to eat in a restaurant every day? When arriving from a big city to the Rockies, stock up on food in Calgary in Canadian Superstore, a supermarket that has plenty of options of prepared food (they will even heat it up for you in the deli section). Big supermarkets have a better selection and better prices. In smaller towns, supermarket Safeway, Coop and Save on Foods have tasty sandwiches for CAD 8 and cooked meals. Food is generally more expensive than in the US or Europe. Many times, buying in bulk will save you a few dollars. Budget-friendly prices in grocery stores are in Calgary, Canmore, Banff, and Hinton (close to Jasper). Prices in Jasper are quite high and ridiculously high prices are in Lake Louise. Many city parks and campsites have outdoor BBQ grills available for everyone. In smaller towns, you can find them by the river. All you need to do is buy charcoal, aluminum trays and whatever sausages or vegetables you like. Our favourite BBQ spots are Glenmore Reservoir in Calgary, and by Bow River in Canmore and Banff. For eating out, the most delicious and budget-friendly restaurant we found is Old Spaghetti Factory. Restaurants are in many cities across Canada including Banff (the most visited place in Canada). Since it’s a chain of restaurants, prices are the same everywhere. Entrée, soup/salad, main course, ice cream, and tea/coffee may be as low as CAD 15. There are also many Mexican and Indian restaurants. Albertans are very proud of their beef, you can head to Original Joe for a burger, it costs CAD 15-20. This is a simple overview of budget travel in Canada. I hope you will enjoy your Canadian trip! Sounds good? When are you visiting Canada or the Canadian Rockies? If you ask a specific question, I may be able to answer you. I’m a big fan of seeing places outside the national parks. All tourist offices can give you hiking maps for nearby trails. Bty one of my favourite towns is fernie- which you have a picture of in this post (island lake lodge) & it’s not in a national park. I love Fernie as well. 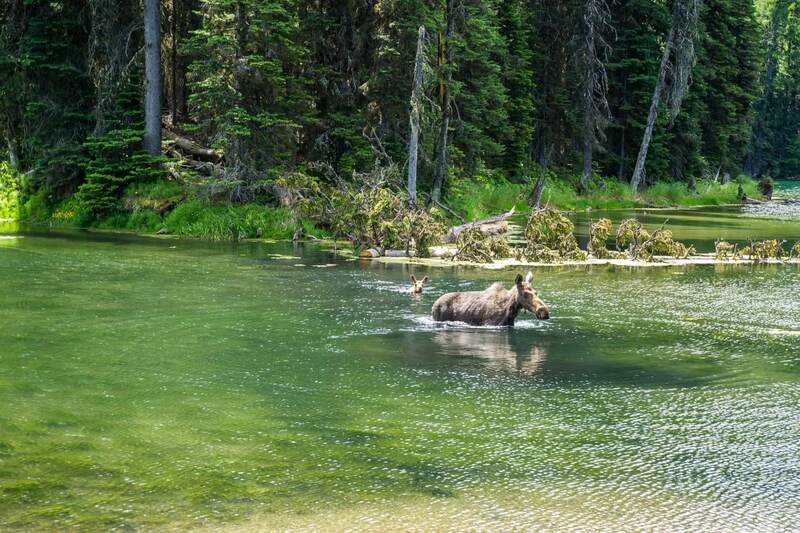 The picture with the moose is also from Fernie. Guys, what is the other option, if any, for travelling without sleeping in a tent but still keeping it on a budget? Somehow the idea of just a thin layer of material between my kids and a bear doesn’t appeal to me. Then I would suggest renting a campervan. Using campsites is definitely the cheapest way to go. Hey guys, awesome blog with awesome tips! I guess the national park fee is only valid for one park at a time or is it for Canada in general? This is really informative. Good to read your tips. Wow, this is really such a nice tips to travel in budget across the Canada!! Hey! Maya and Michal, I’m new in Canada and It feels that Canada is a very beautiful country. I love mother nature a lot and I want to visit more place in Canada And your article helps me a lot and all the pictures are very beautiful wow your article is very awesome. Hey Maya, this is something that would really help a lot of people when they are traveling to Canada and that includes us! We are planning on having a trip to Vancouver Canada on February and this will be really helpful for our upcoming trip to Canada. Thank you for this amazing article! I’m happy to hear it helps! Great advice. Have you done Quebec, Ontario or other East coast areas yet? We haven’t made it to East Coast yet.